It was five years after the worst global conflict ever had come to its end, when Father had managed to be signed up by the Australian Government as a scientist/engineer. Yet leaving home would be as hard to take as finding a new home so far away. Father asked his mother, who was living with us at the time, to come with us. She declined. 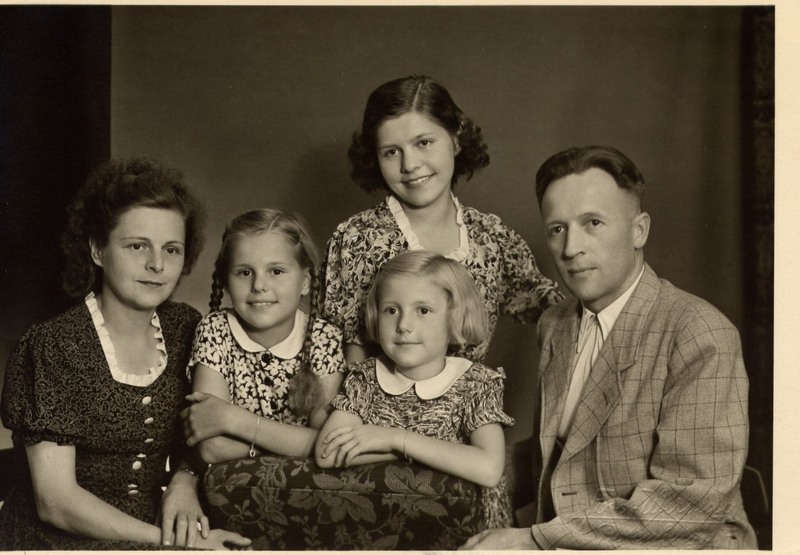 As a recent refugee from Silesia, an area lost to Germany after the war, she had joined her son’s family in Rotenburg/Fulda where we lived, and barely resettled here. Two weeks before we were to depart, she had her 70th birthday. It was a sombre celebration. The house was devoid of furniture, kitchen utensils, all having been sold at auction days ago. ‘Old trees don’t transplant very well,’ Grandma-Oma said, as we toasted each other with left-over drinks out of chipped coffee cups. ‘Good health, Oma!’ ‘May your future hold what you expect!’ She was so brave saying that. ‘What an awful birthday present for her’, I thought, as she embraced us all in turn. She hoped her daughter and family would come and live with her in the house we were vacating. But how could they leave East Germany? Everything was uncertain. Would we, would I ever see Oma again? I would not, I could feel it. And so we left. As I looked through the rear window of the taxi, I could just make out Oma’s lonely figure flanked by our two dogs, her hand waving limply, my eyes refusing to focus as her image silently blurred and swam into days gone forever. As the flood of sad emotions receded, returning waves brought anticipation of excitement. An adventure was starting. By train we crossed Germany, came to Hoek van Holland, from here went by Ferry to England. From Southampton the ‘Moreton Bay’, of the Aberdeen and Commonwealth Line, would take us to Australia.